What's The Market Like In Kingstowne Alexandria Va? Kingstowne is a large, planned community of 5,500 homes in Fairfax County, Virginia located on the western edge of Alexandria just outside the Capital Beltway. 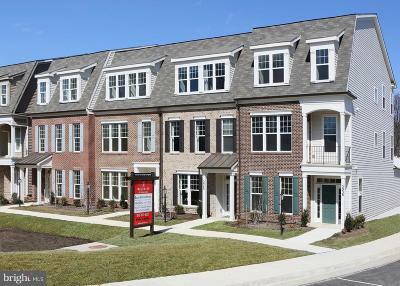 It is the second largest planned community in Fairfax, Va. — second only to Reston. Residents refer to Kingstowne as the neighborhoods of Kingstowne itself as well as encompassing the outlying surrounding neighborhood zip codes of 22315 and parts of 22310. The general boundaries are Van Dorn Street to the east, Franconia Road to the north, Beulah Street to the west, and Telegraph Road to the south. Each neighborhood has an English-themed name that’s lettered on marking walls. In addition to Yorkshire, they include Belford, Canterbury, and Nottingham. Kingstowne's convenient access to both Alexandria and Washington, DC makes it a favorite neighborhood for professionals and families — with home choices and options from garden style condominiums to town house communities and even single family detached homes. Kingstowne enjoys the benefit of having a wide variety of commuting options: the Beltway, Fairfax County Parkway, and I-95 are nearby — within minutes of nearly every house in the area. The area is well-served by the Fairfax Connector bus system, and the Franconia-Springfield, Van Dorn and Huntington Metro (subway) stops are just minutes away. Are you ready to start the adventure of buying a home? Get in touch now for a no-obligation consult. CONTACT found top left of this page. Don't see what you are looking for get in touch directly we often have properties that aren't publicly listed online. More neighborhood information below, after Current Homes for Sale in Kingstowne list. Kingstowne's population is growing fast and its property appreciation continues to be among the best in the Northern Virginia Metro area. According to the latest census reports, over 64% of residents have at least a 4-year degree from a college or university. This ranks the neighborhood among the highest in all of Virginia. The average income per capita in Kingtowne is currently nearly $60,000, and household income is approaching the $140,000 level. There is also a great blended mix of both families and singles. Approximately 60% of households are married couples, and about 25% of the homes are occupied by single residents that have never been married. The median home value in Kingstowne is just under $450,000.00 this includes all property types condominiums, townhomes and detached single family homes. There is a wide variety of opprotunities both within and immediately around Kingstowne to suit most everyone's wants and desires. Kingstowne has lots of community centers — some with party rooms, pools, and tennis courts. For golfers from beginners on up, there is a Top Golf with an innovative driving range complex that offers sensors embedded in the golf balls to track your shots, or play a full game at nearby Greendale Golf Course located on Telegraph Road. There are homes to suit almost every price range, appealing to first-time and move-up buyers alike. The Kingstowne Center with ample parking and suburban stores such as Walmart, Kohl’s, World Market. The area is pedestrian-friendly, with some trees, a 16 screen movie theater an abundance and variety of restaurants with and without sidewalk seating. Additionally, just moments from Kingstowne, is the newly renovated Springfield Town Center, formerly Springfield Mall. Other notable stores include Walmart, Best Buy, Staples, and more. There are many convenient grocery stores in and around Kingstowne including: Giant Food, Safeway, Shoppers Food, Wegmans, Trader Joe's and Aldi's. Kingstown makes for a convenient commuter neighborhood being located centrally for a wide variety of major highways that lead into Alexandria, Arlington and Washington D.C. as well as being near a variety of area Military Stations including Fort Belvoir, Fort Myer and the Pentagon. Many commuters opt to make the short drive or bus ride to the Franconia-Springfield Metro station. 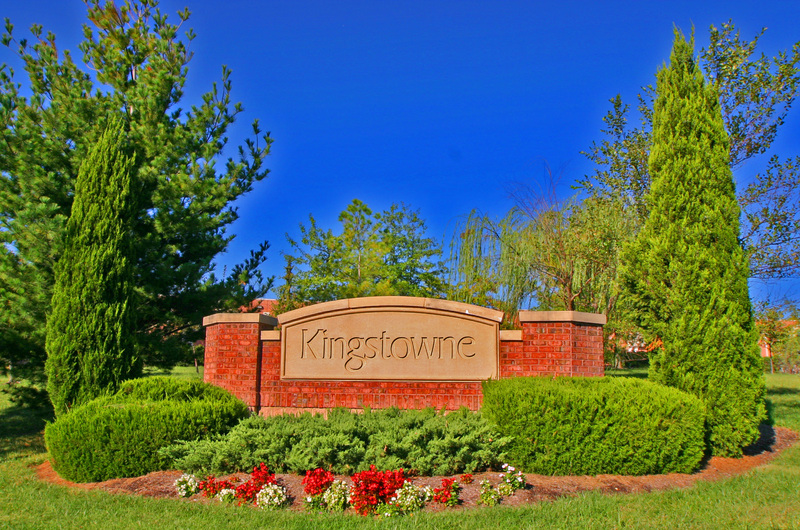 Kingstowne is a convenient, safe, and enjoyable place for families, couples or singles. With a wide variety of real estate options available and maximum desirability, you can’t lose if you plan to call Kingstowne your home.